TORONTO: Liberal MP Salma Zahid says she’s taking a medical leave to be treated for non-Hodgkin’s lymphoma,she received the diagnosis in the last week and will be taking medical leave to be treated. Pakistani origin, Member of Parliament in the House of Commons of Canada to represent the federal riding of Scarborough Centre,is taking a medical leave of absence after being diagnosed with non-Hodgkin’s lymphoma. 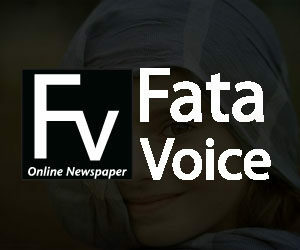 Zahid said in a statement she was diagnosed with the cancer last week after the pain worsened over the weekend. Zahid says she begins chemotherapy treatment today and after the first round will have a clearer plan for her prognosis and treatment. 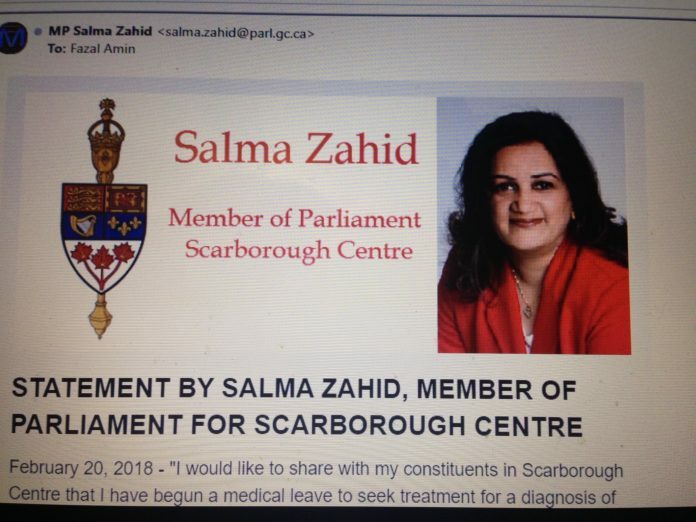 “I am determined to fight this diagnosis and to continue my work in service of the people of Scarborough Centre as soon as I am medically able to do so,” she said in a statement Tuesday. The last time she spoke in the House of Commons was during question period on Feb. 5,2018 regarding World Cancer Day.